Which Type of Ants Do I Have? 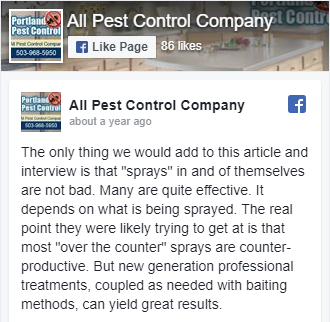 In Portland, it is mostly carpenter ants and sugar ants that cause problems. Carpenter ants destroy the wood in your home’s walls, ceilings and floors. Sugar ants are much smaller. While they don’t do as much damage, they are annoying and unhealthy because they congregate around food on your kitchen counters, in drawers or near any spilled food. Contact a professional exterminator to ensure that you remove them safely and effectively. 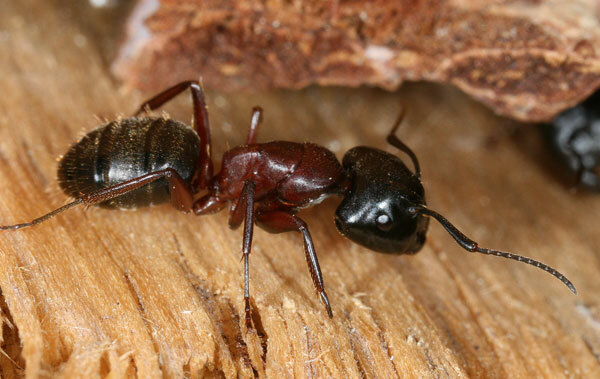 Modoc carpenter ants: These are the most common and can grow up to ¾ of an inch long. They are a dark brown or black and find their way into your home through a ground-level entrance. Essigi carpenter ants: A much smaller variety, usually not more than a ¼ inch long at the most, have a reddish-brown mid-section. They invite themselves into your attic and eaves courtesy of your power line connection or branches that are a bit too close to your roofline. 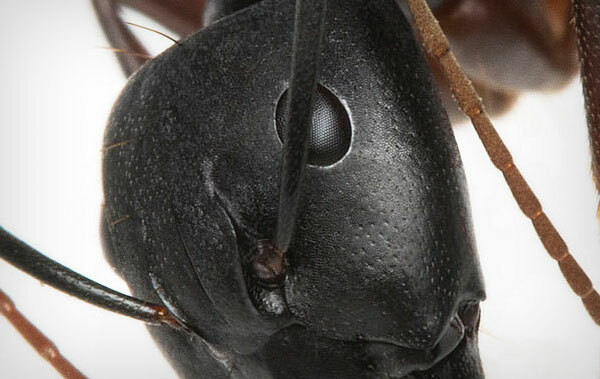 Vicinus carpenter ants: Vicinus ants grow to about ¼-to-½ inch in length. They are a red-brown color and have access into your house courtesy of any bushes that are in contact with the side of your home. Carpenter ants start out in small colonies and build colonies in pockets of decayed wood in your home. They reproduce quickly and spread out into any other wood they can find. 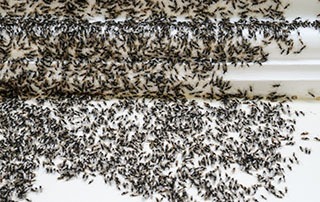 If you see some flying ants, you’ve got a mature colony on your hands that has likely been there for four-to-six years. They go undetected for so long because they most often do their dirty work only at night. Interestingly, this ant goes by many names, including sugar, sweet and odorous. They often target sweet foods, but their biggest attraction is moisture. If you smash them, they emit an awful smell. They multiply quickly and are difficult to get rid of. Happy both inside and outside, they thrive on eating sugars, other dead insects and waste produced by other kinds of bugs. They eat mulch, tree bark, dirt and leaf litter outside. Inside, they enjoy living in high-moisture places in your home, like bathrooms, kitchens and laundry areas. When you have any kind of ant problem, the simple, spray-on or repellent treatments are not effective. The real problem is the massive ant colonies that all types of ants build and the queens that control the colonies. By professionally treating the entire colony, we can effectively eliminate ant reproduction. 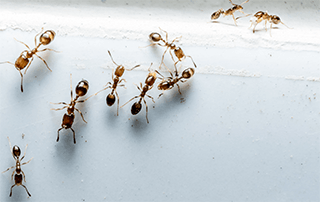 We have years of experience to help you identify and eliminate the ants in your home quickly and effectively. Contact us today for a free, on-site estimate. 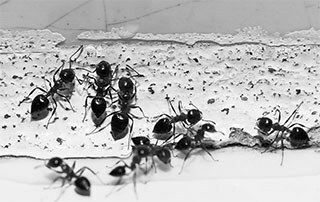 How Do You Stop an Ant Infestation? Where Do Ants Come From?